In 2015, four young university students – Jan, Petr, Martin, and Roman – entered the eClubu of CTU in Prague, Czech Republic. 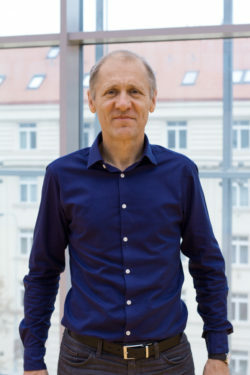 With Jan Šedivý as their tutor, they started working together on the question-answering system YodaQA. Jakub joined the team in 2016, and in the same year, Mr Šedivý came up with an interesting idea that became the turning point for the group: Let’s focus on chatbots! And that’s how the first version of Alquist was created. The name of the bot is far from random – Alquist is the name of one of the main characters from the theatre play R.U.R. by the Czech writer Karel Čapek, where the word ROBOT was used for the very first time in history. Really – it was Karel’s brother Josef who invented the word. So … the whole world actually knows a bit of Czech! At the end of 2016, Amazon announced the Alexa Prize and we decided to try our luck. Surprisingly for us, we were accepted to the competition together with the other fourteen teams from all around the world, and in the fall of 2017, we made it to the finals! Despite great effort, Alquist came out second, which was nevertheless a huge success. It was reflected in Czech media and our team leader Jan Pichl was selected as one of the 30 under 30 by Forbes CZ. In 2018, apart from working on different AI projects, we participated again in the Alexa Prize competition and we successfully defended the second place. Our aim now is to find the use of the voice platform we have developed during the competition. Furthermore, we are preparing for the Alexa Prize 2019 competition. 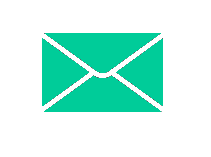 Find out more about our work and expertise by clicking here. has, after 18 years of experience in the industry, returned to CTU, CIIRC. He teaches at the CTU Faculty of Electrical Engineering, and he is the director of the CTU MediaLab Foundation. He writes about his work at the blog jsedivy.blogspot.com. Jan has worked at Google (2008-2010) as a Technical Lead/Manager and at the IBM T. J. Watson Research Center as a research staff member (1992-2000) and Research Manager (2000-2008). He has lead many worldwide research and development projects. He was a principal designer of the IBM Embedded ViaVoice speech recognition application. He holds 19 US patents. His main areas of interest are AI, ML, NLU, mobile, internet and cloud computing. 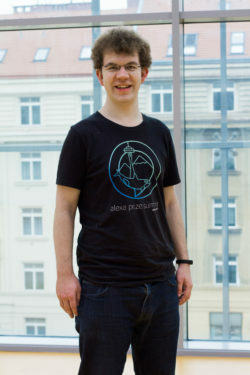 is currently pursuing his PhD degree focused on dialog systems at his alma mater CTU in Prague. He has been leading the Alquist team since the first Alexa Prize in 2017. He was selected by the Forbes CZ magazine as one of the most inspiring young people of the year (the list 30 under 30). 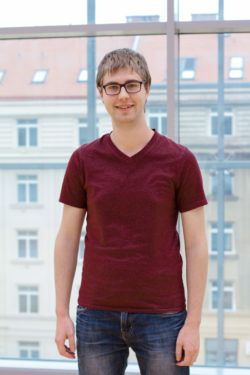 In 2014, Jan finished his bachelor degree in Software Engineering at the Faculty of Informatics (CTU). Then he accomplished his master’s degree in Artificial Intelligence in 2016 at the Faculty of Electrical Engineering (CTU) with his master’s thesis called Enhancing Question Answering with Structured Database Queries. Furthermore, he is one of the contributors to the open-source YodaQA system. In his free time, he likes to play the piano. 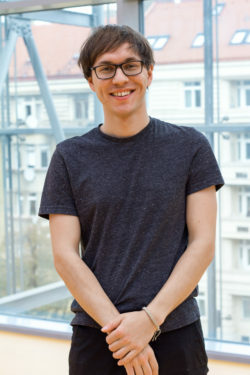 works on conversational AI during his PhD studies at CTU in Prague. As a member of the Alquist team (since the first Alexa Prize in 2017), he developed the Alquist Dialogue Manager, a framework for bot creation. He finished his undergraduate degree in Cybernetics and Robotics at CTU in 2015, and afterward, he continued his master’s studies in the same field. 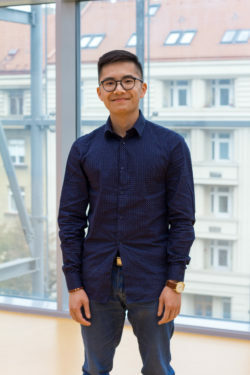 He graduated in January 2018 with the thesis on Unstructured text comprehension and question answering. During his graduate studies, he also co-created a voice-activated assistant for weather forecast and news information. Besides, he is a passionate player of RPG Dungeons & Dragons, and he used to do wrestling. 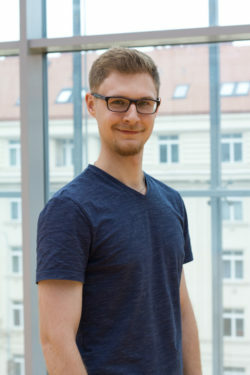 is now pursuing his PhD in Artificial intelligence at CTU Prague. He shares his thoughts on the blog Petr-Marek.com. He successfully finished his graduate studies at the Faculty of Electrical Engineering in June 2018. 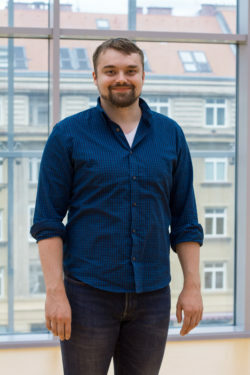 He is one of the researchers in the eClub Prague and a member of the Alquist team since 2017, and he also worked on the question answering system YodaQA. In addition, he volunteers as a boy scout master during his spare time, and from time to time, he develops games (for example his successful math game called Zeroes). is currently pursuing his master’s degree in Knowledge Engineering at the Faculty of Information Technology at CTU. He is the newest member of the Alquist team. He shares various ideas and thoughts on his personal blog petrlorenc.github.io. During his master's studies, he spent one semester at the National Taipei University of Technology as an exchange student. He attends many conferences on AI, frequently as a volunteer. Besides other things, Petr works for the renowned Czech search engine and web portal Seznam.cz. In his leisure time, he loves to travel the world. is a student of Data Science at CTU in Prague and has been a member of the Alquist team since 2017. His master’s thesis deals with natural language generation. Thanks to the Alexa Prize competition, he fulfilled his dream to learn to juggle (the official AP stress balls). He obtained his undergraduate degree in 2016 in Computer Science at CTU. He joined the eClub Prague in the summer of 2015 and then worked on several projects under Mr. Šedivý. Before the Alquist team was formed, he worked alongside the other members on the question-answering system YodaQA. During his free time, he often plays basketball and swims (and, of course, juggles). has a Bachelor's degree in Intercultural Communication from Charles University in Prague; currently, he is pursuing his Master's studies in Translation and Interpretation (Czech-Spanish-French). 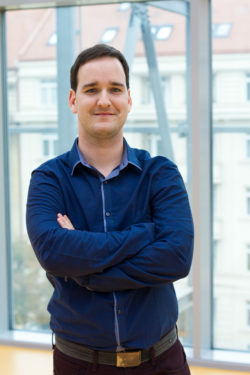 His Master's thesis focuses on the use of modern technologies in translation. In the Alquist team, he works as a linguistic consultant and communication expert. He participates, for example, in developing the interactive movie called The Story of Alquist, or other projects of the e-Club at CIIRC. Besides that, he translates books, plays various musical instruments (including glass bottles in a unique musical duo called Flaškinet), loves travelling, photography, sports, and takes a keen interest in ecology and environmental issues. now a master’s student of Computer Science at the Faculty of Electrical Engineering at CTU. He was a member of the team during the Alexa Prize 2017 when Alquist won the overall second place. This year, he attends a summer internship at Apple, in the Siri development team.